We’ve endured hot summers and threats of wildfires not far from our doorsteps in 2017. Let’s let our legislators know during this upcoming session they have the power to lead the nation with innovative programs that will mitigate rising temperatures and extreme weather patterns. 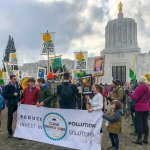 Oregon Environmental Council, Renew Oregon and other partners are hosting a Clean Energy Jobs Lobby Day on Feb. 12, where you can speak with your representative and senator about climate change. Now’s a critical time to encourage our state leaders to adopt the Clean Energy Jobs bill, a decade-long effort to protect our lands and invest in clean technology. 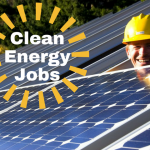 So come join us for the Clean Energy Jobs Lobby Day and rally! We’ll help coordinate carpools. We’ll provide lunch, and share tips on meeting with your legislator. Click here for more information and to register. 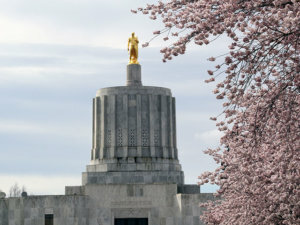 Time – Check in at 9 a.m. Day ends around 4:30 p.m.
Where – Begin at the second floor of the Micah Building at 680 State St. in Salem. 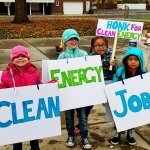 Clean Energy Jobs for Oregon needs your help! 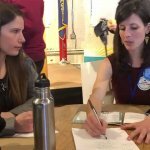 2 Replies to "Clean Energy Jobs: Take action Feb. 12"